Groups of more than 10 people must make a reservation in advance. School groups need to make reservations in advance. Cash, check, are accepted on site during weekdays. 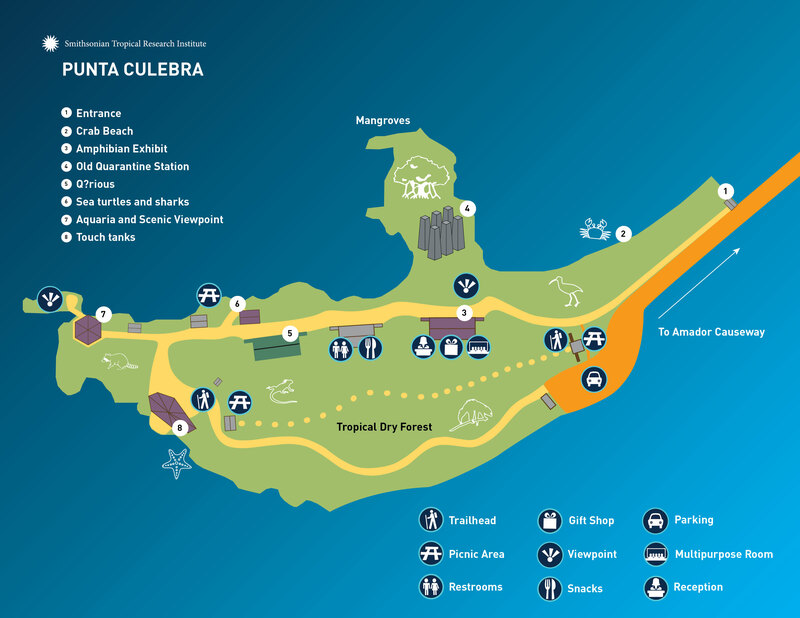 Punta Culebra Nature Center is wheelchair accessible from the entrance to the exhibits; however, the forest trails behind the Center are not accessible by wheelchair due to the rough terrain. The safety of the Smithsonian's visitors, volunteers, staff, and collections is of the highest importance. We are located Amador Causeway, approximately 3.5 km where it begins in Panama’s Balboa neighborhood. Turn right at the restaurant Mi Ranchito and continue to the end of the parking lot where you will see the entrance of Punta Culebra Nature Center. Panama's Metrobus offers service to the causeway from the Albrook Mall for 25 cents. Exit the bus at the bus stop in front of Smithsonian’s Naos Island Laboratories and continue walking southeast along the causeway. Turn right at the road beside the restaurant Mi Ranchito, continue walking along to the entrance of Punta Culebra Nature Center. It is about 250 m from the bus stop to the entrance and another 400 m to the main buildings. 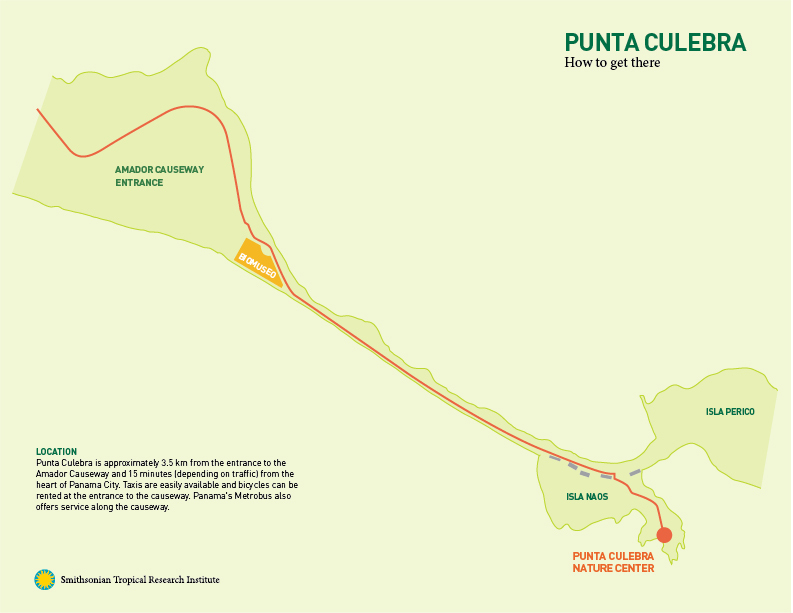 There is a limited amount of parking at Punta Culebra. The station guard at the entrance will inform visitors if there is room. Some large buses cannot access the parking lot. There is no food service at Punta Culebra. We have a vending machine for snacks, drinking fountains and beverages are sold in the gift shop. Bring a lunch! We have covered picnic tables with a great view of the beach and the entrance to the Panama Canal.